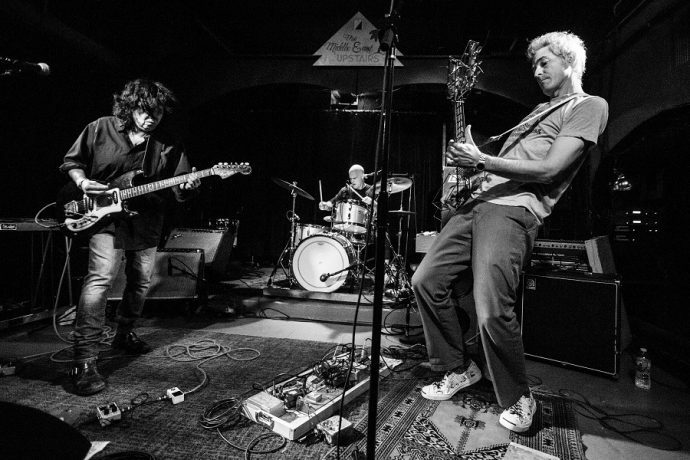 E, the Boston-based trio of Thalia Zedek, Janson Sanford, Gavin McCarthy is made up of veterans in indie, noise rock, and experimental rock scenes. This project is an entirely new sound not resembling their previous individual work. It is rather something completely new, made up of the combination of Zedek’s unique voice and guitar lines, the rhythmic nature of McCarthy’s drum work, and Sandford’s home-made metal guitar and stomp box rhythms. In spite of the artists’ maturity working with music, E is nevertheless experimental; for instance, Sanford’s practice of making DIY instruments from scrap metal and other found objects comes back in this project. Finally, each one of these seasoned musicians brings their own voice (literally) into this work, with charged lyrics about political issues such as immigration and the frustratingly relevant US presidential elections. Nausica, named after the character Nausicaä from the Miyazaki film Nausicaä of the Valley of the Wind, is equally cinematic as its filmic counterpart. Their work is multifaceted, reminiscent of music ranging from the roughness of PJ Harvey to the ethereal My Brightest Diamond. The music is simultaneously tender and bold, with intense instrumental buildups evocative of Warpaint. Nausica has performed at renowned events and festivals around the Netherlands such as Noorderzon, het Valkhof Festival, Park Open Arnhem and Le Mini Who. 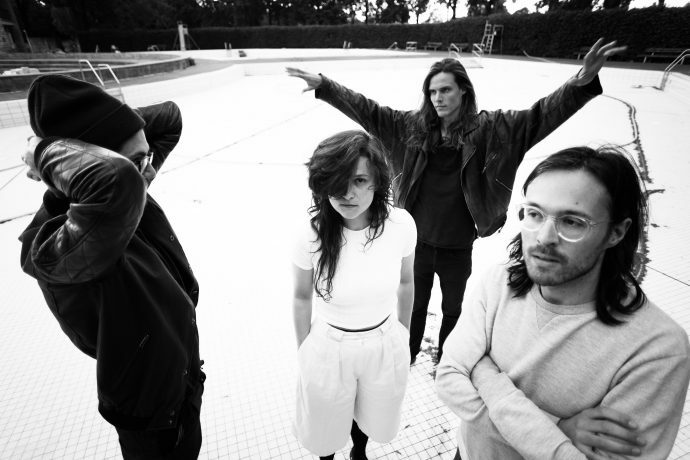 They have opened for the likes of Son Lux and for a sold-out show at the MC Theater in Amsterdam and De Kift in Arnhem and did a live performance for the largest German radio station, 1LIVE.